This stacking banquet chair features a brown patterned fabric with textured "gold-vein" frame. With the brown being a neutral color, it should match many decors. 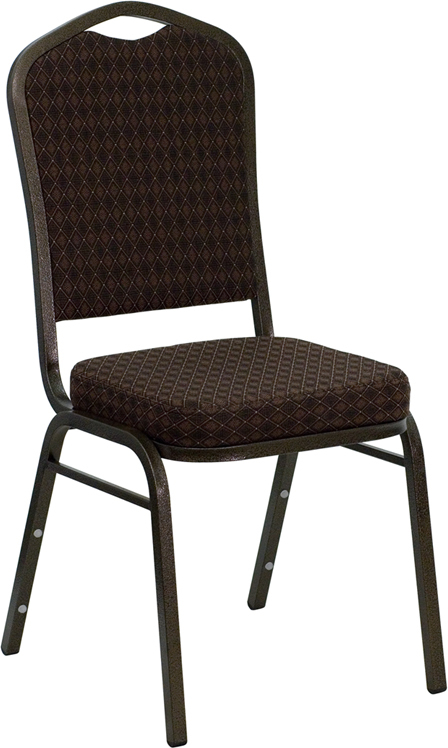 This commercial grade stacking chair is great for banquet halls, convention centers & more!